Thankfully with today's technological surgical advances, surgeries of the past can be fine tuned to make them consistent with present day standards with hair transplant corrective surgery. 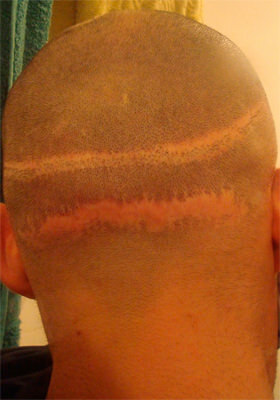 Your unnatural hairline could be brought up to speed with one small surgical session! In the past, doctors were removing punches from the back of the head using a punch biopsy. These grafts could have any where between 15 to 20 hairs in one graft. The same punch biopsy that was used to remove the donor hair was then used in the recipient area (the area that they were moving the hair to). Using these punches directly in the hair line and through out the scalp, they would then plug the graft in to the punched out whole, hence the term plugs. 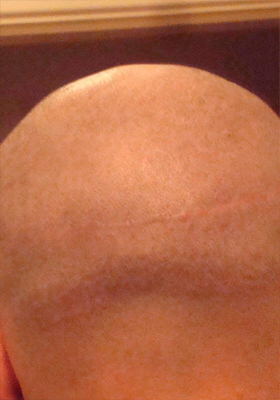 You Don't Have To Be Afraid That Your Hair Transplant Will Look "Pluggy"! Fortunately today, we are able to incorporate the older style of surgeries with today's unnoticeable, natural techniques. We keep your existing plugs or grafts where they are if possible, and blend them in to our smaller, more subtle grafts. The frontal hair line will be softened and the face will be re-framed. Then behind the previously developed unnatural hairline, the various sized grafts will be used in order to make the unsightly plugs disappear. 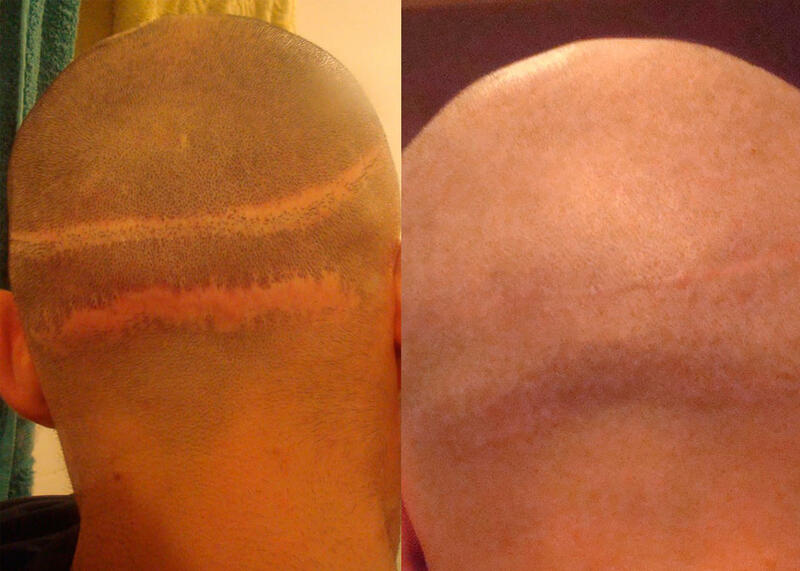 One simple surgery can correct your undesirable previous hair transplant surgery and get you back to normalcy.